A father and his daughter were among four people arrested in a drug raid in Seaside Heights earlier this week, the Ocean County Prosecutor’s Office announced in a statement issued Tuesday. During the early afternoon hours on Aug. 7, detective from the prosecutor’s office’s Northern Enforcement Unit along with members of the Seaside Heights Police Department located a 2008 GMC Yukon and the Toyota Camry that had previously been identified as being used by suspected drug dealers behind 1215 Ocean Terrace, Apartment No. 1, in Seaside Heights. The detectives conducted a search of both vehicles, as well as the apartment, and as a result the partnering agencies seized approximately 600 individual dosage units of heroin along with approximately $7,500 in cash. The 2008 Yukon was also seized pending forfeiture proceedings, as well as a a 100,000-volt stun gun found in the residence. The vehicles had been identified before the raid as being used by Peter Tamburini, 32, and Victoria Eves, 32, who both lived in the Ocean Terrace apartment, and William Eves Sr., 66, of 1540 Steven Street in Philadelphia, to store and distribute heroin. Tamburini, William Eves, Sr. and Victoria Eves were arrested after the raid and transported to Seaside Heights Police Department for processing. Kenneth Keelen, 32, of Seaside Heights, was present during the police investigation and was found to be in possession a quantity of heroin. Tamburini is charged with possession of heroin, possession of heroin with intent to distribute, and possession of weapon while committing a drug offense. Superior Court Judge James Blaney set bail at $100,000 cash. 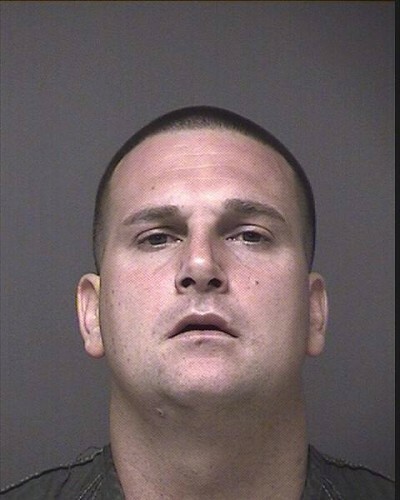 Tamburini was subsequently housed in the Ocean County Jail. Victoria Eves was charged with possession of heroin, possession of heroin with intent to distribute and possession of drug paraphernalia. Eves was released on a summons to appear in court at a future date. William Eves, Sr., was charged with possession of heroin and possession of heroin with intent to distribute. The elder Eves was released on a summons to appear in court at a future date. Keelen, of 1115 Ocean Terrace, was charged with possession of heroin. He was also released on a summons.